Posted on Wed, Feb 22, 2012 : 1:10 p.m.
Ypsilanti’s improving financial picture has prompted City Council to approve a new plan to levy a lower tax rate than previously planned for the Water Street debt retirement millage. Essentially, the city is now offering to cover half of one of the taxes it is asking voters to approve. The Water Street property in Ypsilanti. Council approved the new five-year financial plan that includes the reduced millage rate by a vote of 5-1 Tuesday night. Council Member Brian Robb voted against lowering the rate. Council also unanimously approved ballot language for the income tax proposal. The income tax would be set at 1 percent for residents and 0.5 percent for those employed in Ypsilanti, including at Eastern Michigan University. Because the ballot language for Water Street was already approved, residents will vote on a full millage set at 4.7085 mills. But, under the new plan, council would likely lower that millage to 2.3543 mills. A resident with a home with a market value of $100,000 would then pay $127 in taxes instead of $235 in 2013. By 2017, that millage would grow to 3.5 mills, or $178 annually for the same home. The adjustment was partly made possible because council was previously expecting an income tax would generate only $2.25 million by 2017, but that figure was changed to $2.7 million. Tuesday night, John Kaczor, a representative from Municipal Analytics, provided council with the new figure during a summary of an income tax study the city commissioned. The proposed income tax and Water Street debt retirement millage will help Ypsilanti avoid a $6.1 million deficit projected for 2017. If the 4.7 mill debt retirement millage is levied, the city would be left with a projected $102,000 operating surplus in 2017 and an additional $1.3 million on top of its current $9 million in reserves. Council Member Pete Murdock proposed lowering the Water Street millage rate. He said the package of cuts and new taxes has a better chance of receiving voter approval if the city services half of the debt. we could commit to paying half that out of our fund balance,” he said. The city bonded for the Water Street property, which is located just east of downtown, and began purchasing pieces of it in 2001. Officials expected to quickly see mixed use development that would pay for the debt, but that development never came. 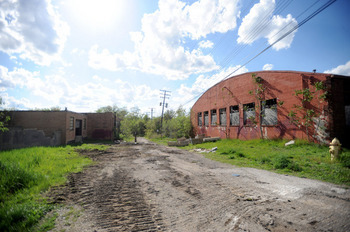 Ypsilanti must pay $30 million on its Water Street bond debt and continue to make payments through 2031. Its annual payments will grow to $1.7 million annually by 2015, and the city currently has $2.6 million set aside to pay down the debt. Council Member Dan Vogt agreed that the city hould provide some relief to taxpayers if it is expecting to bring in more money than needed. Robb objected to the cut because he said it amounted to a transfer of wealth to the city's corporations. According to his math, the top 30 wealthiest corporations in the city pay 18 percent of property taxes. Among them are Comcast, DTE Energy and David Kircher. Because it's very difficult to track many of those businesses' profits and charge them income tax, the city would largely only collect from them on the Water Street debt retirement millage, Robb said. The top 30 corporations would have paid $247,000 annually, but with the reduced millage rate they will only pay $124,000, he said. He also questioned why the city would spend the money it has saved by cutting city services over the last 10 years on debt retirement instead of spending it on the city. "Now that we don't have the necessity (to save), we can invest in the city instead of investing in corporations," Robb said after the meeting. Mayor Paul Schreiber said the reduced millage rate still provides relief for taxpayers and expressed his support for it. “We need to control what we can control and we need to help taxpayers when we can help them, and this is a place where we can help,” he said. The city is projecting it will collect $575,000 the first year the income tax is implemented midway through 2013, and that figure will grow to $2.7 million by 2017 for a total of $9.3 million. If would collect an additional $7.7 million from the Water Street millage over five years if it levies the full 4.7 mills. If the income tax is approved, officials are expecting to collect more than half of its revenues from corporations and non-residents who work in the city. The city will soon put up a page on its website that will calculate how much a resident will pay with an income tax. Sun, Feb 26, 2012 : 10:27 p.m. Please keep in mind that all of the (former) Ypsilanti elected officials who were responsible for running up the $30 Million Water Street debt are the very same people pressing hard (again) to get this local income tax scheme approved on the May ballot. What ex-Mayor Farmer, ousted Councilmember Gawlas and the rest of their spendthrift crew would like you and I and all Ypsilanti taxpayers to do is pony up $more and $more and $more to pay back their incompetent mistakes. Please don't let them get away with damaging this city further yet again. Sat, Feb 25, 2012 : 12:04 p.m.
Those council members who owe their positions to their opposition of an income tax should resign in disgrace. I'm talking to you Robb, Bodary and Murdock. Others like the mayor who only said last time an income tax was on the ballot that he wanted to let the people decide, should also step down. How many times do we have to say that we don't have any more money to pay for taxes. Enough already! I fear that if these taxes pass, it will drive out any homeowners lucky enough to sell. The council have always had their greedy eyes looking toward the cash cow they think exists in the income of the students and professors that work go to EMU. EMU needs to organize to fight this since there is no opposition political leadership in this city! Thu, Mar 1, 2012 : 10:37 p.m.
SCIT is alive and well in the city Forest. Fri, Feb 24, 2012 : 5:15 a.m.
Mon, Feb 27, 2012 : 7:09 p.m. I wish you luck in the township, and we agree on more than is apparent. I think continually increasing taxes is wrong and stupid on many levels, and the long-term consequences of having the highest millage around are undeniable. I also think that, in this situation, at this time, there's no other choice, at least as far as the Water Street debt is concerned. An EM won't erase bond debt. It would be nice to get the people responsible for Water Street into stocks in the public square or something, to allow all the property owners to express their justifiable sense of betrayal, but that won't pay for the bonds, either. Sufficient contingency plans were neglected in a rush to fairy-tale development glory, and now something has to be done. YpsiVet, The Village of Ypsilanti became a city in 1858. EMU, then the Michigan State Normal School, was founded in 1849. And yes, I would agree with you that the native Americans and the French and other groups were here well before Mr. Ypsilanti or EMU. Sorry, the history backs me up, the school predates the city. So your answer to ou fiscal crisis is to then tax people who live in the city (or elsewhere) and work at EMU to make up for this? How is this getting money out of the university? It seems that you are simply just double taxing your neighbors to me for the city's inability to generate any other revenue streams and for making poor decisions. You're just taxing people to spite a university that keeps the city alive. And those students and professors (like my family) would not be in Ypsi if it wasn't for the university. We wouldn't frequent the eateries and stores in this city if the university was not here. 17k (might be more now, my numbers ar old) people would not be here on a daily basis if the university was not here. You couldn't then tax them for walking on your beloved sidewalk or for driving on your beloved streets or for using your first responder services that are run through the county dispatcher and funded by state dollars. You couldn't double tax your neighbors because they wouldn't be here either. You would be sitting in a sub division in a township that feeds Ann Arbor, like Pittsfield Ann Arbor township. Thu, Feb 23, 2012 : 9:06 p.m. Your first claim was that Ypsilanti &quot;didn't exist&quot; before EMU, a claim that was proven to be false. Now it's that Ypsilanti wasn't a city. Ok. Sure. You seem to like to jump to all kinds of unsupportable, and incorrect, conclusions, the biggest of which is that I live in the city. I do not. I'm not on the council and, like you, I do not live in the city. Your argument that the city wouldn't be here without EMU is like saying if pigs had wings they'd be eagles. What's your point? EMU is here, which I think everyone would agree is a good thing. They also occupy a large percentage of property that is thereby removed from the tax rolls. I've yet to hear any alternatives from you to solve the Water Street debt situation. Well? What do you propose? After you come up with a workable solution to this problem, I suggest you spend some time learning about public safety in Washtenaw County. You seem to be laboring under all manner of misinformation. Thu, Feb 23, 2012 : 5:48 p.m. I am also voting NO. we are seeing more smoke and mirror. claim we will vote for a full mileage and then only charge 1/2. If you believe this then you also must of supported water street and the miracle income that property was going to generate. And I still do not see a sunset date on the millage or income tax. we should be putting our efforts in a Constitution amendment that would require the state to pay a percentage of the profit sharing we agreed to years ago. I say NO to these taxes. it is time to sell water street. Thu, Feb 23, 2012 : 2:24 p.m.
Also, notfromhere, in your rant about EMU &quot;putting money into the economy,&quot; you conveniently left out the fact that, absent a local sales tax, the sales tax revenues paid by students and faculty eating in Ypsi restaurants, drinking in Ypsi bars and buying Ypsi goods goes entirely to the state of Michigan. The roads those people walk and drive on, however, are maintained by the city. EMU brings people to the city, but the city is on the short end of the stick when it comes to any reasonable cost recovery. The state profits, especially since EMU property is exempt from property taxes, the major source of city revenue, local business owners profit and the local atmosphere profits; city coffers do not profit. Thu, Feb 23, 2012 : 8:58 p.m.
LC, the state pays for road maintenance with gas taxes. The city does not collect or receive gas taxes. Thu, Feb 23, 2012 : 2:41 p.m. The city maintains roads with money from gas taxes -- just like every other city in the state. You don't seem to know what you're talking about either. Thu, Feb 23, 2012 : 8:29 a.m.
That's not what Water Street looks like now. Those buildings are gone. An unfortunate choice of image. Thu, Feb 23, 2012 : 5:22 a.m.
Thu, Feb 23, 2012 : 2:17 p.m. I like how you put words in my mouth, then proceed to use them to further your own misinformation. Perhaps you should start with checking your history. Ypsilanti existed as Woodruff's Grove in 1823 and was first platted as &quot;Ypsilanti&quot; in 1825. EMU, under the name of Michigan Normal School, was founded in 1849. No where did I say the EMU does not put money into the economy. No where. And as for &quot;council driven,&quot; you are also so far off base that I won't even comment further about it. EMU pays the city government of Ypsilanti, and therefore the taxpayers, ZERO dollars for the fire services it receives and also for the police services required to keep their largely off-campus-housed student population from making city neighborhoods completely uninhabitable. For those quite expensive police services, the city government of Ypsilanti, and therefore the taxpayers, receive ZERO dollars from EMU. EMU PD covers EMU property, period. They are not first responders for any non-EMU property. Those are the facts. They spend lots of time driving around city neighborhoods. For all criminal matters occuring in or on any non-EMU owned property, YPD is called. People lived in Ypsilanti before EMU, and if EMU had never been, neither one of us knows if Ypsi would still exist or what it would look like if it did. To pretend EMU doesn't cost the taxpayers of the city money is pure fantasy. We could start with several hundred thousand a year in fire protection alone. Don't let the facts get in the way of your rather bitter-sounding fantasy, however. Thu, Feb 23, 2012 : 4:49 a.m.
YpsiVet, I would counter your argument by stating that we have that level of reserves, or so they claim now but claimed differently in December, because we tax people at the highest rate possible. This tax rates is killing any potential for growth in the city. Why would anyone, outside of a local with Ypsi pride, want to double their taxes living here outside of renting? And, if these two increases come about, why would anyone want to bring a business to Ypsi when they can get a nice piece of Washtenaw in the townships for cheaper? It's just not good business. And this is not a new phenomena. Sure, one single past regime brought about the Water St. debacle, but most of the recent ones have all complicit in stagnating any growth here outside of very small, niche, local businesses, by taxing us silly. In the short term, these tax increases might keep the city in the black for a while. Until businesses start to leave, until their employees move out of town and more homes sit vacant. Tax increases only work most people are paying their taxes. And in my recent home search in Ypsi and looking through publicly available tax records, there are a good number of people who are not. And all of this taxation with little or no services. If we have A2 schools or their parks, they could justify paying more. But the schools here are poor at best, some downright failing. The parks are staffed by the neighborhood associations, not professional grounds crews. There is no actual bang for your buck living here and it is only going to get worse. And those renters, the scourge of the Ypsi homeowner, will leave for the township if you slap them with an income tax, which will kill any potential surplus the city thinks it will have and bring about more ingenious millages and other tax increases. Thu, Feb 23, 2012 : 3:13 a.m.
Hey A2.com why don't you post the current millage rates for the whole county so voters can see where they stand before voting? Does Ypsilanti in fact have the highest millage rate in the county already? Where do they stand statewide? Thu, Feb 23, 2012 : 5:41 a.m.
<a href="http://www.ewashtenaw.org/government/departments/equalization/2011%20Apportionment%20Report%2012_7_2011.pdf" rel='nofollow'>http://www.ewashtenaw.org/government/departments/equalization/2011%20Apportionment%20Report%2012_7_2011.pdf</a> Its Ypsi. And it's not close. Thu, Feb 23, 2012 : 12:34 a.m. This is a direct attempt to generate revenue from EMU students and employees (most of whom don't live in the city and have no right to vote on this). This is an attempt by Ypsi to fix their mismanagement of their budget and to thwart the rights of non-citizens. NO TAXATION WITHOUT REPRESENTATION! How do non-residents have a say? They don't. I'm voting 'NO' on the City of Ypsilanti Income tax. It will tax all employees of EMU, including students. Ypsilanti is already one of the top 5 heaviest taxed cities in Michigan. Mismanagement is not a reason to increase taxes. Thu, Feb 23, 2012 : 4:11 a.m. The fact that EMU will finally have to contribute something in return for all the money it costs the city is a main selling point of the income tax. EMU students would only have to pay the .5% if they work in the city. Non-residents do have a say. They can get jobs someplace else if .5% is that big a deal to them. The city gets nothing for any of the first responder services it supplies to campus buildings and EMU students who live off-campus. These services cost the city a fortune. EMU needs to pay up. Wed, Feb 22, 2012 : 9:43 p.m.
My young family and I just decided to buy a home in the township instead of Ypsi. It is this kind of stupidity that will run most of the useful citizens out of the city and turn it into even more of a rental paradise. Relief for taxpayers? How is that? The city council, some of whom came in on anti-income tax fervor, are raising taxes. Sure, not as much as planned, but wait, that extra money will come when more of the city's elders retire and decades of poor planning crush this city. In no way a reduction s this a win for the citizens, it is a political coup for those in power as they try and spin it to seem like a tax cut when it is really a giant tax increase. Brilliant move city council, keep it up. Thu, Feb 23, 2012 : 4:14 a.m.
&quot;Decades of poor planning&quot; are the reason the city still has some cash reserves and is in infinitely better shape than just about any municipality in the region. One bad council, not &quot;decades&quot; of them, are at fault for Water Street. The city has to solve the problem. Burying their collective heads in the sand will not get this council any closer to a resolution. Give them credit for only asking for the money that's required to service the debt. It's quite a bit more than you would be able to expect from most politicians. Wed, Feb 22, 2012 : 8:19 p.m.
Thu, Feb 23, 2012 : 8:01 p.m. Excellent post, less vitriolic than mine. I gotta work on that. Wed, Feb 22, 2012 : 10:58 p.m. Wed, Feb 22, 2012 : 8:13 p.m.
Something else citizens of Ypsi should be aware of. City Council is hoping you won't notice this election by spending $20,000 on a special election on May 8 hoping you will be more interested in gardening and bringing out the patio furniture than going to the polls. Pretty sneaky, well actually, it is pretty smart. They are hoping for a low voter turn out to improve the chances of the income tax passing. Further those that support the tax are fear mongering, telling residents that if this does not pass that essential services such as police and fire protection could be on the chopping block. DO NOT BELIEVE THEM! Wed, Feb 22, 2012 : 11:51 p.m.
Why should we believe you? Do you have facts to back up your allegations? Wed, Feb 22, 2012 : 7:31 p.m. The regressive income tax should be eliminated before any changes to the millage. Wed, Feb 22, 2012 : 7:33 p.m. Wed, Feb 22, 2012 : 7 p.m. Instead of levying a tax on EVERYONE why not try sticking it to just the landlords/slumlords of Ypsi? Sure they will probably just pass the tax along as increased rent to their tenants, but doesn't this seam like a better idea as opposed to discouraging families from buying houses and establishing roots in Ypsilanti. Go ahead keep sticking it to the owner occupied homes and watch as more and more people flee Ypsi. The old world charm and diversity of Ypsilanti is simply not worth a new 2.3 Mil tax let alone a 4.7 Mil tax especially since this will not provide ANY additional civil services, this just goes towards paying back a HUGE MISTAKE that the city made YEARS ago. Get a clue city council.